Welcome to Healthy Helping Hands, Austin's environmentally green cleaning company! Welcome to Healthy Helping Hands, an Austin native environmentally green cleaning company. At Healthy Helping Hands we go out of our way to keep our clients happy with a conscious thought of health, the environment, and all around well being of ourselves and those around us, by using all natural environmentally green and chemical free cleaning products to cleanse your sacred space. We strive to make our clients lives easier by providing an outstanding, efficient, trustworthy, and conscious cleaning service to our fellow Austin-ites and beyond. We are fully equipped for residential and commercial cleans, move out cleans, real estate make readies, one time cleans, bi-weekly, and monthly visits. We also offer deep cleans and organizational services. Other sorts of specialty cleans can be arranged as well. At Healthy Helping Hands we promote natural living and purity by cleaning with our own handcrafted cleaning products and others on the market that are made with natural plant based ingredients and purifying essential oils. Our mission is to provide an excellent cleaning service while using natural chemical free products to promote a healthier more conscious lifestyle. With conservation, recycling, and a soft impact on the environment in mind we constantly integrate these efforts into our work and everyday lives. At Healthy Helping Hands we reduce, reuse, and recycle whatever we can as a real action towards protecting the environment. 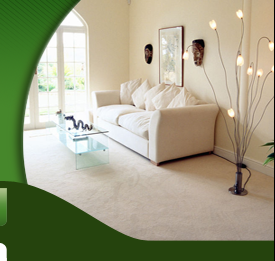 We do provide our natural cleaning products for sale and/or replacement. We are glad to live and share the benefits of replenishing everyday cleaning products with our non toxic ones that keep your space naturally fresh and clean. Through positive thoughts, pure energy, and soul full dedication we are excited and ready to accommodate your cleansing needs. Get in touch with us immediately with questions or to make an appointment. In Lakesh!